Metro Boston Insurance Agency can help you get the best Massachusetts home insurance, hazard insurance, and jewelery insurance. Your Massachusetts home is one of the biggest financial investments you will make. 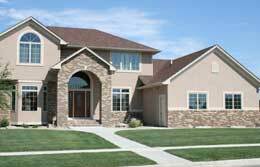 Protect your house - and your possessions - with homeowners insurance from Metro Boston Insurance Agency. For homeowners, insurance protection is an important aspect of homeownership. Buying homeowners insurance, or home insurance, means buying protection for your home - both inside and out. If you already know what kind of home insurance policy you need, get a homeowners insurance quote today. Metro Boston Insurance Agency provides homeowners home insurance, hazard insurance, condo insurance, and renters insurance all over Massachusetts. We find the best Massachusetts home insurance for your needs. Contact us today to learn more about home insurance. Get a FREE Massachusetts home insurance quote today! Here at Metro Boston Insurance Agency, we recognize the accountability that comes with being a homeowner-furthermore we understand how important it is to protect your home, and those who live inside, with comprehensive home insurance in Massachusetts. We are proud homeowners too-exactly why we are dedicated to helping you navigate through this very valuable policy decision. You've worked hard to secure yourself a safe and comfortable place to call your own-now the next step is protecting you and your property from an array of risk exposures. In order to secure you the most appropriate coverage, it's important that we take the time to fully understand your individual needs-because let's face it, every home and Massachusetts homeowner is different. Massachusetts homeowners insurance provides you with financial protection against disasters. A typical homeowners policy will insure the home's structure, and the contents inside it. As a well-established independent insurance agency we have the ability to shop multiple carriers nationwide, comparing rates and resulting in the best possible home insurance in Massachusetts. No matter where you are located across the state-we're here to help you protect what matters most! Damage caused by disasters can also be covered by your home insurance. Massachusetts residents can also benefit from customized protection against floods, earthquakes, and poor maintenance that often cause damages.